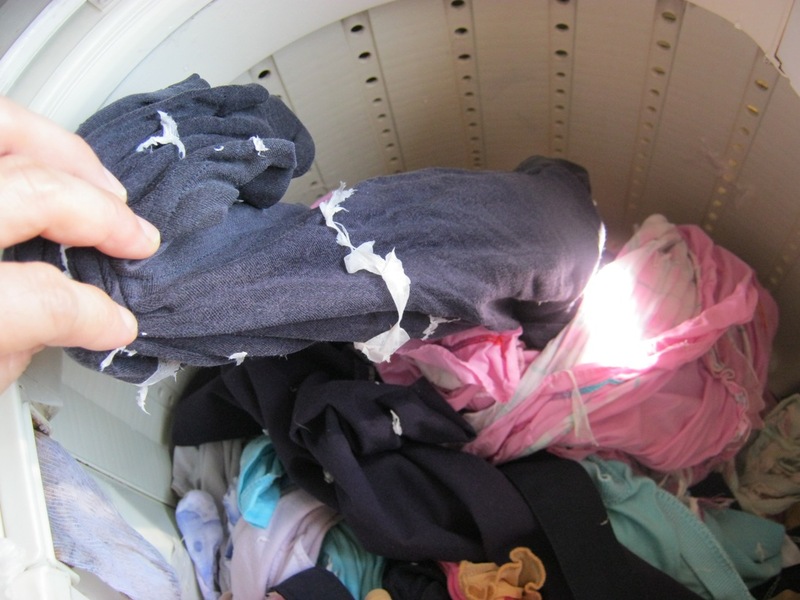 Agnes' Diary & More...: Tissue papers in the laundry!!!!! 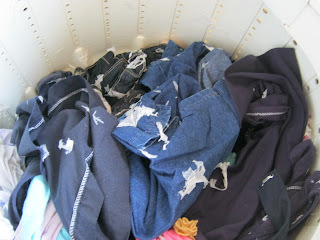 tissue papers sticking on the clean clothes, on every single piece of cloth and pants. Meaning I have to remove the broken pieces of tissue papers off from this bunch of laundry. 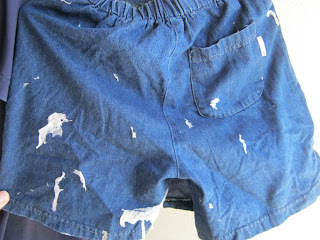 Can you imagine how troublesome it is to remove them? It happened to me many times too! So much work to remove them huh? Most of the time, the culprit was my boy! I nagged him till no end. Hahaha.. My nagging works in a way though as now he empties his pockets before putting his clothes into the laundry basket.